Theatre: The Dinner Detective Murder Interactive Murder Mystery Show! Description: America's largest interactive murder mystery comedy dinner show is now in San Antonio Saturday nights at the Emily Morgan hotel! Solve a hilarious murder case while you feast on a fantastic four-course plated dinner. Just beware! The killer is hiding somewhere in the room, and you may find yourself as a Prime Suspect! We're dying to meet you! Description: To usher in the upcoming Twenty-Twenties, famed time-twisting musical collective Postmodern Jukebox will circumnavigate the globe in 2019 on their Welcome to the Twenties 2.0 Tour. Description: The ALAS Youth Theatre Company welcomes all youth poets and performers to SAY SÃ­'s Black Box Theatre for a special open mic night. Hosted by high school members of the theatre company, the evening will also showcase featured poets, Lily and Sarah Tijerina, and highlight the talents of San Antonio's youth-artists. Description: The Tony Award-winning Best Musical, Monty Pythons Spamalot, continues its search for the Holy Grail at The Tobin Center. This outrageous musical comedy is lovingly ripped-off from the film classic Monty Python and the Holy Grail (book by Eric Idle and music and lyrics by the Grammy Award-winning team of Mr. Idle and John Du Prez). Tickets: $25. Students and active military are free. Description: SA Met Ballet closes its 35th Anniversary season with its 32nd annual presentation of Dance Kaleidoscope, an afternoon of classical and contemporary dance. The performance will open with contemporary dances by professional and student choreographers. The second act will feature excerpts of The Sleeping Beauty. Children's Event: Genius Plaza presents: The Genius Plan! Description: Welcome to Professor I.T. Peapod's laboratory! Join our cast of wacky characters as they work together with the audience to stop the virus! Will the Professor's newest robot invention help? Can his friends Four and Five be transported back to the Genius PreK app where they live? Come prepared to learn, clap, stomp, shout, and sing along! Description: For the first time, Pearl brings DÃ­a del NiÃ±o, an annual celebration in Mexico honoring children since 1925, to Pearl Parkito. Pearl will honor this tradition by partnering with the Instituto Cultural de MÃ©xico (ICM) to bring an evening of bilingual storytelling, traditional Mexican games, face painting, and more. Description: In pursuit of the American Dream, this riveting story captures the life of a Southern family who has decided to partner together to pursue the biggest business deal that will make-or-break their lives. But as the financial dream gets bigger and tensions rise, where do the pieces for this familyâ€™s future fall? Description: TICKETS ON SALE NOW for The Roundups Crawfish and Zydeco Festival! We're boiling Thousands of pounds of CRAWFISH! Description: This year marks the 10th Anniversary of Paseo por El Westside celebrating not only the culture of the Westside, but the history and people too! Description: Laff Mobb is the brain child of historic comedy producer Bob Sumner and legendary manager Arthur Spivak. Sumner co-created and produced HBO's Def Comedy Jam (1992-2008), Laff Mobb's Laff Tracks (2018), Laff Mobb Presents (2012-2014), Laff Mobb's â€œWe Got Nextâ€(2014-15) and Whiteboyz in the Hood (2006). Description: Please join us on May 11th, 2019 at Progreso Hall(1306 Guadalupe St, San Antonio, TX 78207) as we host the 4th Annual Cactus Blossom Mission Heritage Dinner. Enjoy an Evening of unique Native American foods, entertainment, raffles, door prizes, and a silent auction. Description: The first Texas presentation of Seattle-based digital media artist Adrian Wyardâ€™s newly-developed visual accompaniment to DvoÅ™Ã¡kâ€™s exhilarating â€œNew Worldâ€ Symphony features glorious landscape imagery from all across America, performed live by the YOSA Philharmonic. WITH SPECIAL GUEST ROGER BLEVINS JR. OF MINGO FISHTRAP! Description: Blues Beatles started during the breaks of the rehearsals of Today â€“ an original band that Marcos Viana, Flavio Naves, Bruno Falcao and Fred Barley started in 2012. Marcos, the singer, would invariably pick up his acoustic guitar and start playing Beatles songs. Description: This winning adaptation (The Hollywood Reporter) of the best-selling Disney-Hyperion novel by Rick Riordan, THE LIGHTNING THIEF: THE PERCY JACKSON MUSICAL is electrifying! (Newsday). 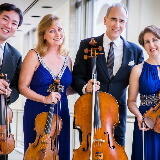 Description: ARTS San Antonio proudly presents The New York Philharmonic String Quartet from New York City. Tickets: Individual tickets for this performance are now on sale $29-$99. You may also purchase tickets to this performance through any 2018-19 season subscription plan. Save up to 46% when you subscribe! Subscription prices start at $61. Description: The Carver presents Joe McBride & The Texas Rhythm Club. Keyboardist and singer, Joe McBride has been playing piano since the age of 4. â€œSmokinâ€™ Joe as he is often referred has recorded several albums and is a consummate entertainer in modern R&B, jazz, soul gospel or fun. Be ready for a high-level and energetic show. Description: "Limiting myself to a genre has never really been my thing," says Pokey LaFarge. "I'm most purely a rambler. I'm traveling the world all the time, and my songs have been directly influenced by my travels. A comedian, actor, and writer, Patton Oswalt continues to find success in all areas of entertainment. From his award-winning comedy specials to his many memorable film roles and guest appearances on his favorite TV shows, Oswalt continues to choose work that inspires him and entertains audiences. Description: Dr. Neil deGrasse Tyson, an American astrophysicist, returns to The Tobin Center on June 3, 2019, to speak on the topic of The Search for Life in the Universe. Beginning with Mars, he will review the ongoing effort to search for habitable planets, liquid water, and life in the cosmos. Description: From the EMMY award-winning mind of Derek Hough, this live dance show is the first-ever solo tour for the dynamo. 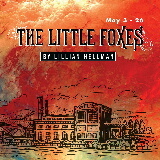 The show features brand-new stage production, astounding versatility and, as always, Derek's magnetic stage presence. Description: Over the course of the past several years, each of A Day To Remember's releases have hit No. 1 on Billboard's Rock, Indie and/or Alternative Charts. 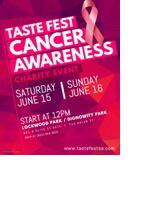 Description: Taste Fest - First multicultural Cancer Benefit Event in San Antonio. Providing Music, Basketball, Food, Drinks, Games, Kid Zone, Donation, Contest, Car Show, Bike Show, Live Painting, & Art Show. Giving out information about Cancer Awareness, Opioid Addiction, Investment Education, & Community Networking. Calling for the support of the city. Description: ARTS San Antonio proudly presents Nella in Concert from Isla Margarita, Venezuela. Nella's music is a meeting place for her country's folklore roots, the influence of her contemporaries, and the music of the Andalusian region. Above all, she sings with her bare soul. Description: ARTS San Antonio proudly presents Lightning and Lasers Live. Music: ARTS San Antonio Presents Slavic Soul Party! Description: ARTS San Antonio proudly presents Slavic Soul Party from New York City, America's #1 Soul-Funk Gypsy Balkan Brass Band. Fiery Balkan brass, irresistible beats, Roma (Gypsy) accordion wizardry, and virtuoso jazz chops make Slavic Soul Party! America's #1 brass band for Balkan-Soul- Gypsy-Funk. Description: The Tobin Center's Fifth Anniversary Gala will feature the "Empress of Soul," and ten-time Grammy Award-winning artist, Gladys Knight, who was named by Rolling Stone magazine as one of the 100 greatest singers of all time. Description: Dynamic duo Jane Lynch and Kate Flannery will fill the Empire Theatre with music and laughter during their cabaret and comedy special, Two Lost Souls. Glee's Jane Lynch and The Office's Kate Flannery will entertain the audience with a perfect combination of comedic timing, singing chops, and witty banter. Description: The 12-member strong Tedeschi Trucks Band carries a distinguished reputation as one of the premier live bands performing today. Children's Event: Nick Jr. Live! Description: You're invited to sing, dance, clap, cheer and move to the music with your friends from Bubble Guppies, PAW Patrol, Dora The Explorer, Shimmer and Shine, Blue's Clues and You, Blaze and the Monster Machines and Top Wing in an unforgettable musical spectacular! Description: There was a time when the world was full of magic and splendor, as if all on Earth existed in harmony with Heaven. You could see it in the arts, feel it in the air, & hear it in the beat of a drum. What if you could journey back & visit this lost world…? Now you can. Shen Yun invites you to experience this divine culture of the Middle Kingdom. ©1997-2019 SA Events CalendarTM On-line. All Rights Reserved.